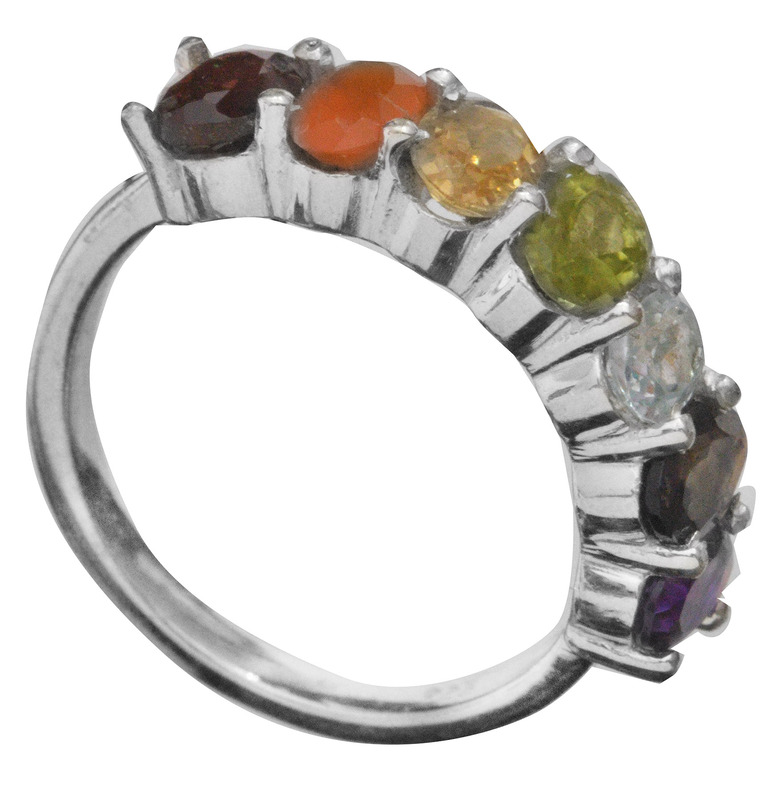 A bunch of coloured gemstones arranged in single curve along the sterling silver band makes for a classic pick in rings. From green and orange to purple and flaxen, the unusual plethora will ensure your finger gets more than one glance. The best part is, you could team it with a garment of multiple colours, irrespective of whether it is in ethnic or contemporary taste.